On the 23 June 2016, Great Britain held a referendum on the future of its membership in the European Union. The vote to leave the EU won, with a majority of 51.9 percent against 48.1 percent. Britain has been part of the EU since 1992, and it was already a member of the European Economic Community (EEC). The result of the referendum triggered a change of leadership within the ruling Conservative party; Theresa May took over from David Cameron as Prime Minister. May had previously been in favour of remaining in the EU, but as Prime Minister, she has acquiesced to the will of the people and agreed to manage the process. In addition to steering the country through the process, May believes in a “hard” exit from the EU. This means that the country will completely exit both the EU and the Common Market, which is the mechanism that has removed trade barriers and levies throughout the EU, enabling free trade. With a policy of “Brexit means Brexit,” May is keen to ensure that the process is carried out with due haste. To this end, May triggered Article 50 on the 29 March 2017. This is the formal announcement to quit and allows a two-year period of negotiation with EU leaders over the terms of the exit process. The negotiations will need to be finalized by 29 March 2019 – without trade agreements in place, the terms of trade will revert to those of the World Trade Organization (WTO). For the UK automotive industry, Brexit raises major concern for the future. While 2016 was a record year for production with 1.72m cars being produced, the prospect of a British exit from the EU is having a negative effect. According to the Society of Motor Manufacturers and Traders (SMMT), the UK exported 1.35m cars abroad in 2016 — an increase of 10.3 per cent – and more than half the cars produced are shipped to the EU. The UK motor industry is hugely reliant on trade with the EU. Currently, car exports account for 12 percent of total UK revenue, and increased barriers to trade threaten this market. It is not just the export market that may suffer as a result of an exit from the EU. Currently, UK-made cars contain only 41 percent of components that are domestically produced. Punitive trade tariffs could drastically increase production costs due to the cost of importing components. It is estimated that the cost of assembled cars will increase by £1.8m, with the cost of cars exported to the EU increasing by £2.7m. As well as damaging vehicle production, tariffs will dent the fortunes of wholesale distributors of automotive parts. The uncertainty caused by an EU exit and the potential for increased costs has already had an impact: investment in the industry has dropped from £2.5m in 2015 to £1.66m. This could lead to reduced spending and downsizing by companies as the amount of trade is reduced, spelling disaster for the UK job market which employs 170,000 people directly and supports a further 600,000 jobs. There is already a glimmer of hope for the industry: Theresa May has called a General Election to take place in June. With the Conservatives in a strong position to win, it is hoped that it will demonstrate that Britain is united over an EU exit, strengthening May’s hand in exit negotiations. If Britain can negotiate a strong trade deal prior to March 2019, it will ensure that the UK car industry will continues to flourish. However, the automotive industry still needs to prepare a contingency plan. In order to reduce the costs of vehicle production, the industry needs to boost the amount of components per car produced domestically. It is estimated that each car will need at least 55 percent of parts produced in the UK to negate the increased costs of conventional free trade agreements. This could help to develop the market for the production and distribution of components, helping to boost this important part of the UK automotive industry. By reducing investment, businesses are failing to respond correctly to the threat. Businesses should respond to the challenges of a UK exit from the EU by allocating spending to increase efficiency. Supply chain optimization is key to achieving this; businesses will need to have a structured business plan that aims to cut costs in the supply chain to mitigate the potential increased import/export costs, and investment in technology will help them to free up working capital for this purpose. Coupled with growth in the domestic market for components, the future of the UK automotive industry could still be positive. Is your business ready for the coming industry changes? 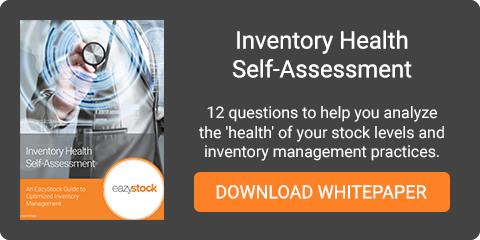 Take an assessment of your inventory and find out where you could be making changes to minimize any losses!